Hybrid cars have been hailed as an exciting green advancement for the vehicle and transport industry. Using dual electric and petrol engines, models such as the Prius and the Civic Hybrid work are more fuel efficient and produce less CO2 emissions than regular engine cars. But the market has been slower to take off than was hoped by environmentalists - mainly due to a lack of knowledge about how the vehicles work and confusion over whether they're as good as regular vehicles for everyday driving. In this article, we're setting out the pros and cons of getting a hybrid vehicle, which may be helpful if you're consider going green with a more eco-friendly car choice, but aren't sure if hybrid vehicles will perform like you want them to. Probably most documented about hybrid cars is their green credentials - and if more of us drove hybrid vehicles, it would ultimately significantly reduce CO2 emissions. A hybrid car produces 25 to 35% less in CO2 emissions than regular cars, because it is has a second electric, battery powered engine, which recharges via the petrol engine. This is a much more energy efficient engine for town and city driving, or driving in traffic. Then, when driving at higher speeds, the power of the petrol engine kicks in. The dual engines help to maintain the most efficient energy consumption during all driving conditions - which means you'll need to fill your car with petrol far less often than with a regular car. 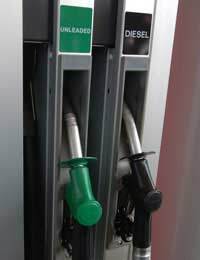 Because the car is able to utilise the battery powered engine when driving at lower speeds or in traffic (which is often when needless amounts of petrol is burned), little or no fuel is needed during these driving conditions. Plus, hybrid cars are designed specifically to maximise fuel efficiency. The materials used for the body of the vehicle are lighter, and the design is aerodynamic to reduce air resistance. Because hybrid vehicles are better for the environment, the government - keen to be seen to be embracing green policy - offer incentives for driving them. Expect to have much lower annual car tax bills, and exemption from congestion charges or low emission zones. Hybrid cars can travel through London's congestion charge zone free of charge, for example. One drawback of hybrid vehicles is the cost - and yes, you should expect to pay more for a hybrid model than a regular petrol car. But you can at least offset this with the lower running costs of a hybrid vehicle and the car tax exemptions. Hybrid cars also tend to offer longer guarantee and warranties on their vehicles, which will give you more peace of mind when making the investment. Some drivers are put off from hybrid cars due to the differences they feel when they're driving them. For example, when stationary or travelling at a low speed, the battery engine is virtually silent - which can be disconcerting for drivers who may think the car sounds like it's cut out. The noise, or lack of, has also drawn criticism from road safety pressure groups, who believe that the lack of noise the vehicle makes could inadvertently lead to a rise in car accidents on the road involving pedestrians or other vehicles. Hybrid cars are less powerful, in general, than regular cars of a similar size, because the petrol part of the engine is smaller than you get in single engine petrol cars, and the electric motor is low power. However hybrid car engines are still usually around 1.5 litres - not insignificant, and particularly suitable for safer town or city driving. Response to Sammy; All of the EV charging stations I have used in Australia have all been solar powered and are also free to use. Most large shopping centres have designated areas for parking so you may use the charging stations. Even the underground parking stations point out that they are using solar power to charge your car... At residential homes we use solar panels also which feed straight into the cars, and your car will also charge up whilst you are driving and braking. As for the UK, I imagine the principals are much the same as they are in the US also. I hope this gives you more insight to the alternatives of fossil fuel charging. It is good. I have to design hybrid electric vehicle this time.Can I gethelp? Its very useful for the people who are interested to buyhybrid vehicles..
@Terry - I recall reading that Transport for London removed the congestion charge exemption for both diesels and some hybrid cards much to the annoyance of people who had bought hybrid cars for that very reason alone. You might be able to do an online search to see if there are still any remaining. Which hybrid cars are still congestion charge free if you buy now? NOne of the manuf seem to be referring to this anymore. This article is very useful for potential hybrid buyers to understand the pros and cons to buying a hybrid. Thanks! More Environmentally Friendly to Get a Second Small Car? What are Green Finance Options? Will Congestion Charging Come to Manchester? How can we Prevent Climate Change? What is Being Done to Stop Climate Change? What is Happening as a Result of Climate Change? Re: What is Being Done to Stop Climate Change? Re: How can we Prevent Climate Change? what do countries and goverments do to stop climate change? Re: More Environmentally Friendly to Get a Second Small Car?